Opening hours: Banks are open Monday-Friday between 9am-3pm, major banks/branches are closed on Saturday and Sunday and closed national holidays. Shops are generally open Monday-Sunday between 10am-8pm. Shinjuku's Robot Restaurant is an over-the-top cabaret-dance-robot crossover, a show unlike anything you've seen before. 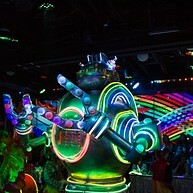 It has loud music, flashing neon lights, skimpily clad dancers and giant robots, all mixed up in a parade of extravagant pageantry, making this an experience unlike any other in the world. 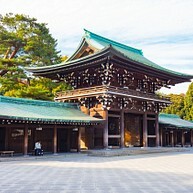 This nationally recognised Shinto shrine is considered one of Japan’s primary symbols of the country’s major religion. Take in the huge 11 metre cypress tree torii (gate) before wandering peacefully along winding paths to the wonderful inner buildings. Getting to Tsukiji Fish Market early is essential in order to make the most of this memorable sight. 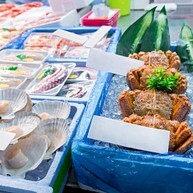 At Tokyo’s biggest and noisiest market, tuna auctions start at 5am followed swiftly by fruit and veg, all sold by some 50.000 workers and wholesalers. 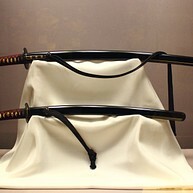 For a taste of Japanese history this is where you’ll find Japan’s largest collection of Asian artifacts. The main gallery, Honkan, displays an impressive assortment of swords, masks, wood-block prints and kimonos while other "don’t miss" features include the 7th-century bronze-seated Buddhas in the Horyu-ji Homotusukan. This stylised theatre performance consists of elaborate choreography and make-up combined with colourful traditional nagauta music. The plays are dramatic and exciting, though, in the 17th century, female kabuki performers were banned - men now play the roles of both genders most convincingly. Sumo wrestling is possibly Japan’s most recognised cultural event, you’d be mad to miss this spectacle. Dating back 2.000 years, Sumo is Japan’s national sport and as such combines religious, athletic and traditional features. There are several places to watch, check the tour schedule on their website to find out which suits you best. There is also a Sumo museum. The Senso-ji temple is an old-town Buddhism institution. Though a major tourist attraction, this is primarily a traditional, local site where worshippers cast coins, clap ceremoniously and bow in respect to an image of Kannon, the Goddess of Compassion. At the top of Mori Tower in the vast Roppongi Hills, this one of the major contemporary art museum in Tokyo combines breathtaking views with fresh artistic talent. 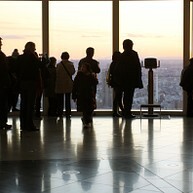 Also includes The Sun cafe, The Moon restaurant, a gift shop and a panoramic observation deck. The museum is situated close to the sumo stables so there’s a chance you bump into the odd wrestling professional on your way to the Edo. 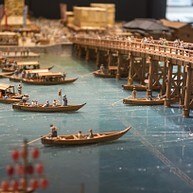 Inside, a more thorough glimpse of Tokyo’s history is revealed, with exhibits depicting events like the 1923 Great Kanto earthquake and traditional scenes from everyday life. 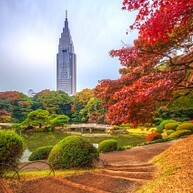 Shinjuku Gyoen is a popular park among tourist and locals alike and no wonder why - it is one of Tokyo's largest parks. With the large number of cherry (Sakura) trees and amazing greenhouses with tropical and subtropical flowers. This traditional Japanese landscape garden is the ultimate escape for relaxation. Ueno Zoo is the oldest zoo in Japan. It was founded in 1882 and today it holds 3000 animals, more than 400 different species and provides all visitors a learning experience. In the East area, you will find pandas, animals in Japan, mammal, and ocean creatures. 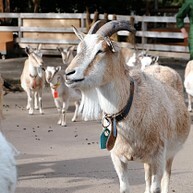 In the West area, you will find African animals, reptiles, small mammal, and a children zoo. If you would like to discover the city in a different way, this might be something for you - explore the city with a bike. Tokyo Great Cycling Tour is a guided tour which will take you to the major tourist spots in Tokyo. This will definitely be a fun way to see Tokyo. This amazing fantasyland also exists in Tokyo; a paradise for young and old. 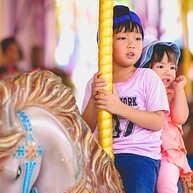 Tokyo Disneyland offers seven themed lands like the Adventureland where you can enjoy a jungle cruise or why not explore the Westernland and go on the roller-coaster called Mine Train. There is also the area called Fantasyland where you can wander around at Prince Charming and Cinderella´s castle. In addition, there is Tokyo DisneySea which is located in Tokyo Disney Resort. It also provides seven themed ports with lots of fun for all ages. 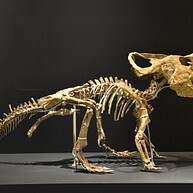 National Museum of Nature and Science covers both science and natural history. Here you can learn more about the history of Japan´s science technology and about the history of earth. The dinosaur displays are especially popular among children. Be sure not to miss the 360 degree theatre. For a stunning view over the Tokyo´s harbour you should head over to Rainbow Bridge. It is 798-meter long. There are some lookouts at various locations where you can take beautiful pictures. During the night time the bridge is lit up with colourful lights - very romantic! Be sure not to forget your camera!